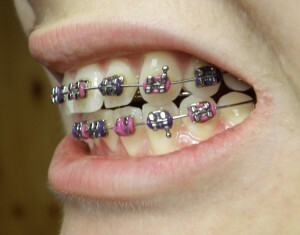 Wearing braces is one way to achieve optimum oral health. It is a remedy to align teeth that grew out of position.Of course, your dentist would like you to get the best result possible.But one common problem of people who have braces on is how to keep their teeth clean. It is true that it is very hard to brush your teeth with braces on. You can just imagine all the food particles that can get stuck on the brackets attached to your teeth. Thus, you have a higher risk of oral infections. Brushing your teeth with just a normal toothbrush is not sufficient enough. It will be better if you use other types of cleaning devices.Usually, your dentist will give or recommend for you to use an orthodontics toothbrush that is designed to brush teeth with wires and brackets on. It is a toothbrush that has a special type of bristles designed to clean brackets and wires as well as to remove plaque from your teeth. It will help you maneuver around your braces and teeth easier compared to that of using a normal toothbrush. It can also reach your back teeth with you having a more comfortable control on it. 1. Using toothpaste and your orthodontics toothbrush, gently brush your gum line up to the point where your gums and teeth meet. Brush each tooth in a circular motion. 2. 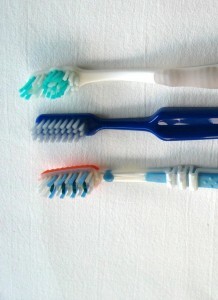 Follow a pattern when brushing each tooth, so there will be no chance of missing one. Take time to clean each tooth. Brush the inside and outside surfaces of your teeth. 3. Also gently brush the brackets and the wires.Make sure that the bristles get through the gaps between the braces and your teeth. 4. Use a firmer motion on those teeth that you use in chewing. 5.Look at yourself in the mirror and inspect your teeth. 6.Gargle with water and then use mouthwash for about 60 seconds. You may also benefit from other oral care products. Caring for your teeth if you are under an orthodontic treatment should not rely on just cleaning your teeth everyday after each meal. You also need to eat healthy foods. Drink milk for it is a rich source of calcium that makes your bones and teeth strong and healthy. Avoid harmful substances like drugs, alcohol and cigarettes.